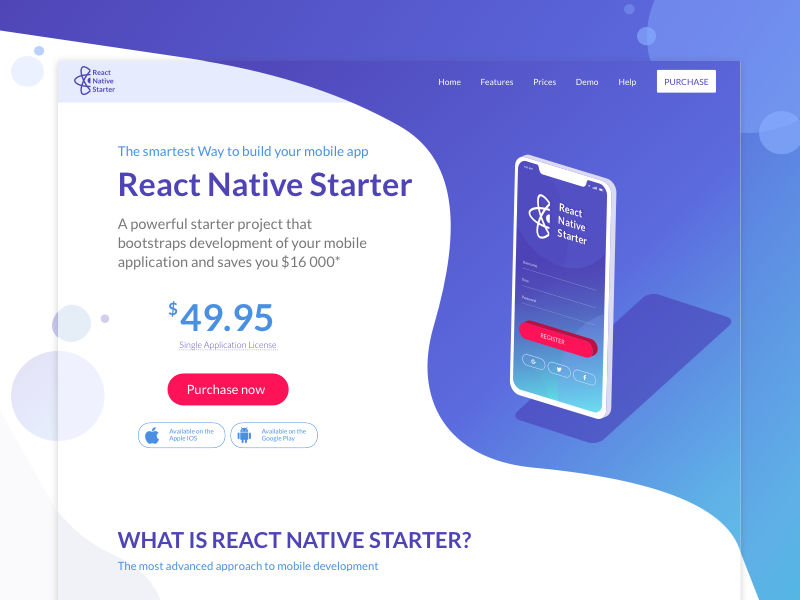 Not a long time ago we have created this Landing page for our ReactNativeStarter. We’ve decided that it’s time for a new version. It’s just another perspective on the same design concept. We would like to know what you think about it. Please feel free to share your thoughts with us.